« Weekly Story: I Had Mesiras Nefesh For You And …. Three-month-old Moshe’s eyes are red and have that obvious febrile sheen. His rectal temperature is 104.5, and flirting ever closer to a febrile seizure. Moshe’s baby skin is now turned ugly with a head-to-toe, deep red and pimply rash. On further exam, this child’s eardrums are bulging red and his lungs sound like a NYC subway train pulling into the station. Moshe’s fontanelles are sunken and his oral mucosa is completely dry. Moshe is dehydrated. Moshe may have a pneumonia. Moshe has uncomplicated measles. Always-friendly Mrs. Rosenblatt usually marches in with her beautiful family in tow. Tonight she comes in after hours. She is four months pregnant with her 9th child. Mrs. Rosenblatt is vaccinated against the measles. 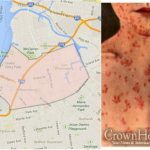 Exposed by an uncaring neighbor, her face and body are now covered head-to-toe in an ugly measles rash. Distraught and concerned for her unborn baby, she would like to know the risks of measles in pregnancy. The data, though old, is not comforting. Most likely you will be okay, I reassured her, but unfortunately there is an increased risk of preterm delivery, NICU admission for your baby and the risk of spontaneous abortion. This is uncomplicated measles. Yosef is a 4-month old child with deep blue eyes and ginormous cheeks. 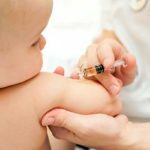 Yosef’s mother believes in vaccinations. Yosef had RSV bronchiolitis when he was a month old and ever since wheezes with every sniffle and cold. He struggles mightily to breathe but he’s a tough kid. Yosef has a cold and he’s been struggling. Using up our medical arsenal of nebulizer medications and steroids, each day he comes closer to an ambulance ride to the ER. But we have staved it off, and we are hopeful. Today something is different. His breathing is incredibly rapid; for every second that passes he’s taking one breath, 60 breaths a minute. He also has a fever of 103. This is new. Again, we attempt to help, but it is too late, and we send him by ambulance to the ER. Coming from a neighborhood with a raging measles epidemic, we relay our concerns to the ER attending. Yosef is admitted to the PICU. Initially he does well on high flow oxygen, but this is not enough. Yosef is sedated and he’s attached to BIPAP. 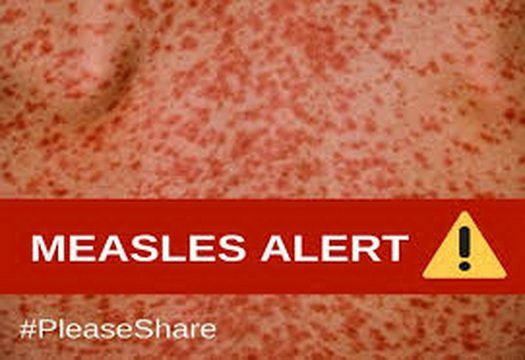 Yosef has measles and a possible superinfection. Broad spectrum IV antibiotics are administered in attempt to ward off the infection. Yosef has complicated measles. We hope Yosef will survive. Much has been said about vaccinations. For the uneducated or the supposedly-educated parents who assume the privilege of not vaccinating their kids until now, know this: you have skirted by, both by the grace of your immunity (since you are likely vaccinated) and the surrounding immunity of those who vaccinate. When you fail to protect your children, you are guilty of שפיכת דמים by a direct and life-threatening threatening virus that would otherwise not be raging through our community. 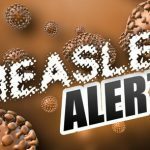 Those on chemotherapy, the old, the sickly, the asthma patients, the unvaccinated 4-month-old babies — all of these people are at risk of developing life-threatening complications from “a simple case of the measles.” When someone loses their life to this, it will not be on the head of the medical community; it will be on yours. You will have to answer for this on your day of reckoning.